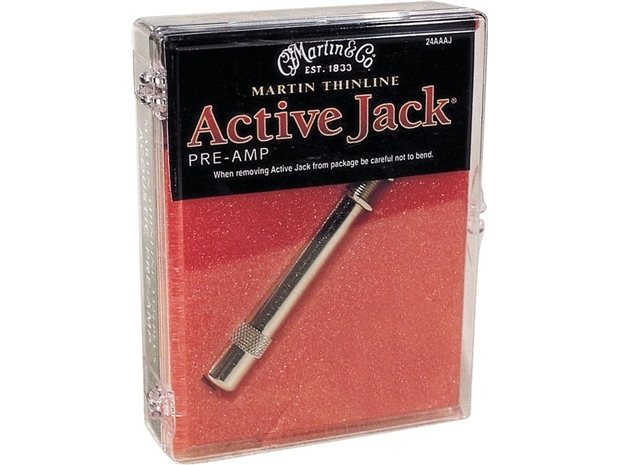 The Martin Thinline Active Jack is a miniature onboard preamp built into an oversize acoustic guitar endpin. The Active Jack will give active performance to your existing Thinline 332 pickup -- or any piezo or magnetic pickup -- without additional modification. State-of-the-art circuitry is housed in the jack's shielding cap. The Thinline Active jack will give you more than 12,000 hours of life from one 9V battery.